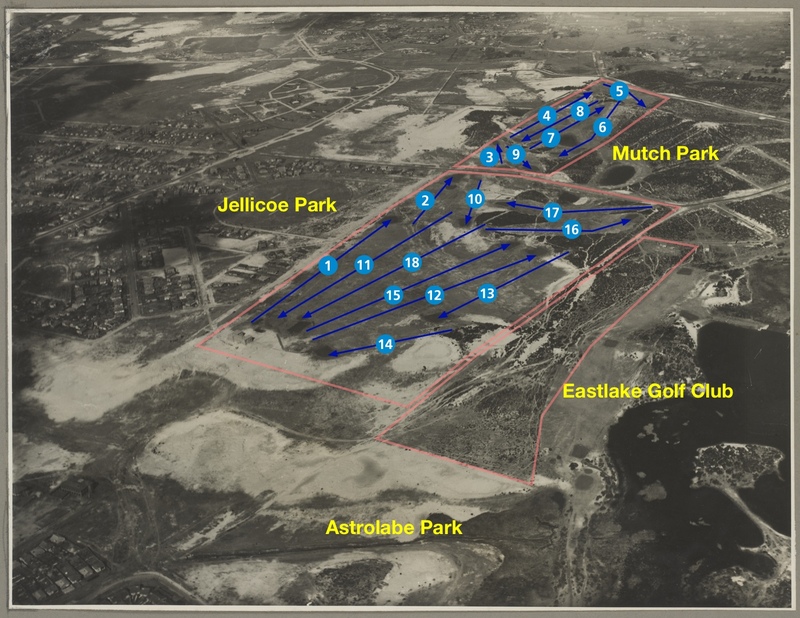 Bonnie Doon Golf Club has changed names once and moved location twice in its history. 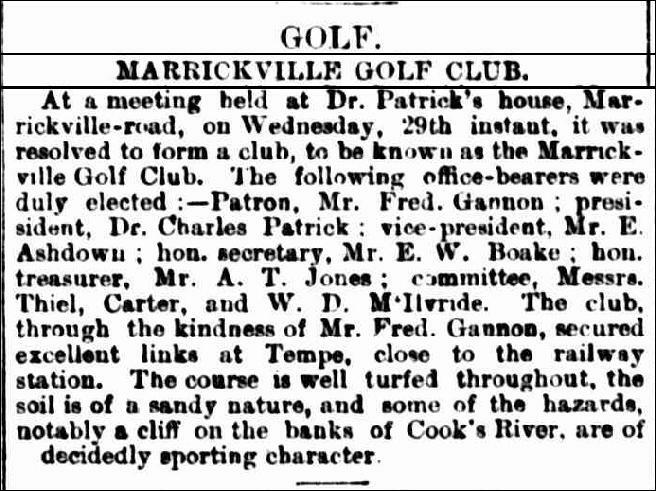 Founded as Marrickville Golf Club (1897), the Club’s course was situated on land graciously lent by our founding patron Frederick Gannon. 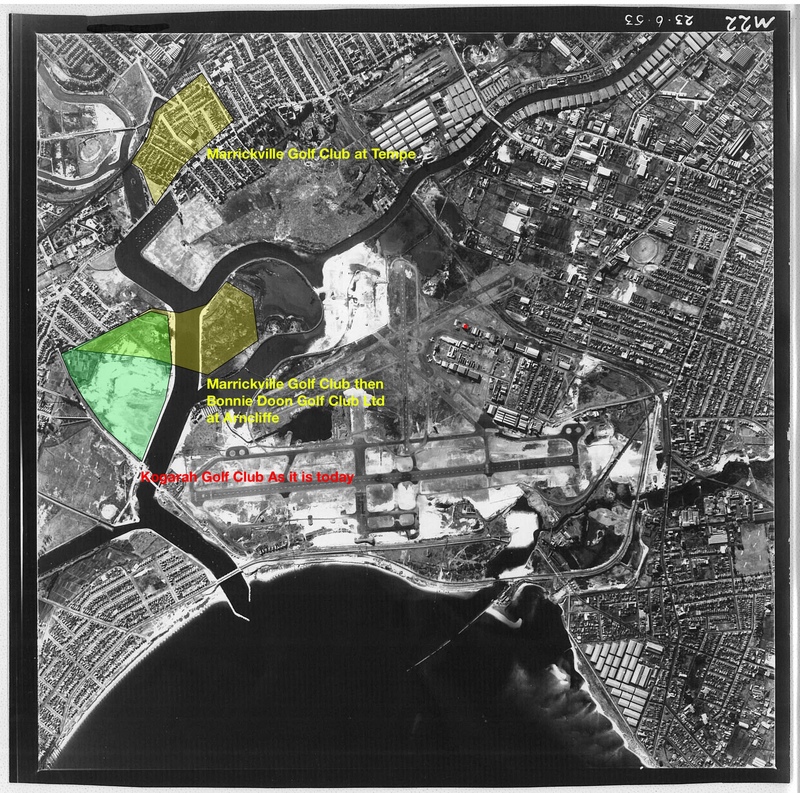 north, the Cooks River in the south, Cooks River Road (Princess Highway) in the east and Unwins Bridge Road in the west. But the land was only ‘on loan’ while development took place. 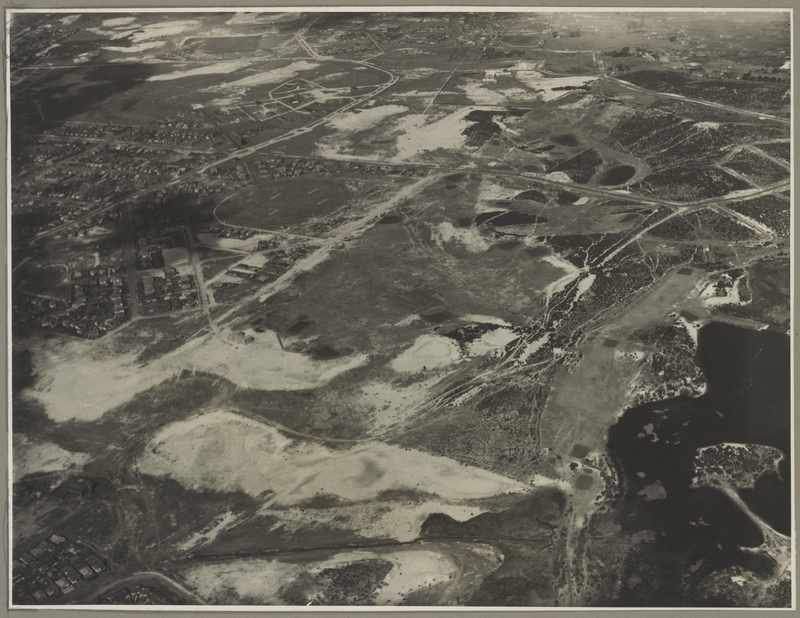 By 1907, development on our Tempe site had made playing golf a difficult task. A new site, close by in Arncliffe, was identified and the Club took a lease and constructed a new links. The Club later purchased this land. 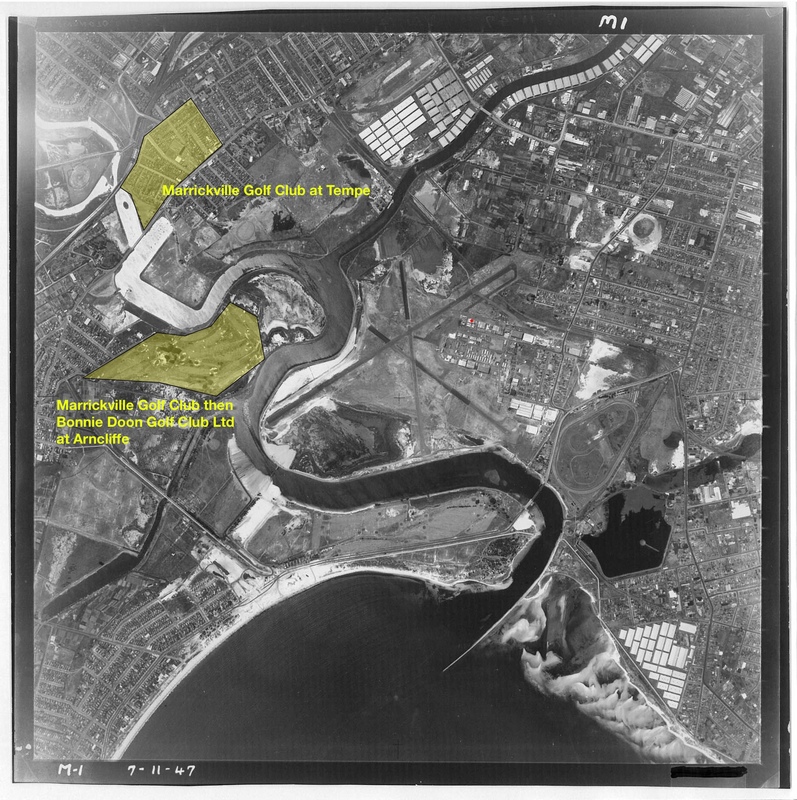 The airport expansion starting in 1948 included a diversion of the Cooks River which substantially reduced the land under our old title. which was subsequently acquired by Kogarah Council for the Kogarah Golf Club. 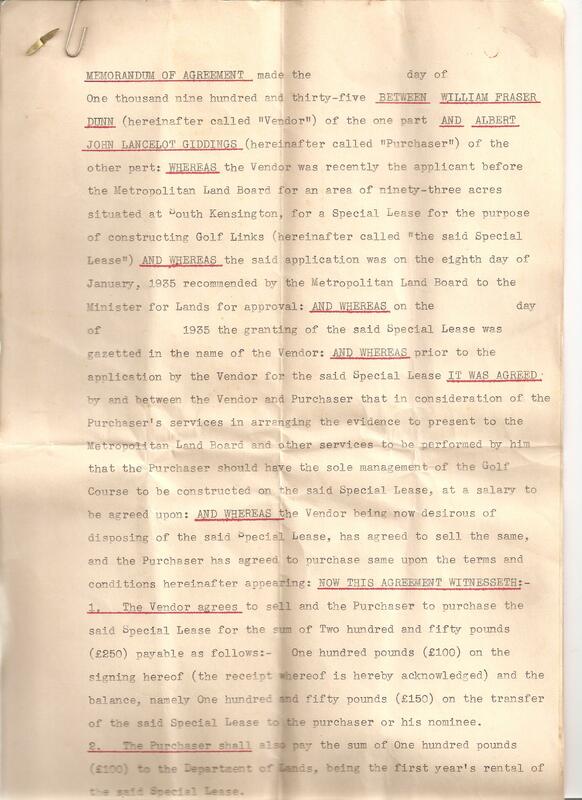 Meanwhile, in 1935, Albert John Lancelot Giddings, who was a member of Bonnie Doon Golf Club, acquired a special lease over land in Pagewood with the intenion of constructing a new golf course. 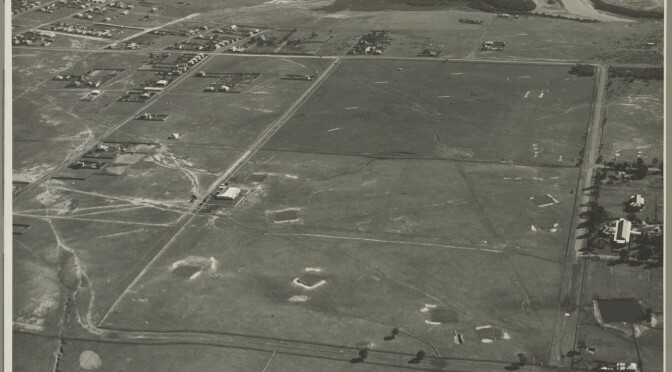 The new golf course initially called The New Metropolitan Golf Club, was laid out by Lance Giddings and constructed by Bill French. The clubhouse was designed by Eric Apperly. It is most likely that Lance and Eric were friends as well as business associates so Eric may well have had some input into the course layout. outcome for Bonnie Doon and The New Metropolitan to merge. There was a strong association between Lance Giddings and Bonnie Doon and Bonnie Doon would need alternative accommodation when their land was resumed. Eric Apperly and Prosper de George Ellis, two people whose names are prominent in golf history in Australia, played a significant role in the development of Bonnie Doon and have not received nearly enough credit in our history. Eric Apperly was commissioned to design and construct two club houses for Bonnie Doon. The first one on the Arncliffe site (1928) and by coincidence, our current clubhouse which was commissioned by Lance Giddings for New Metropolitan Golf Club at Pagewood (1937). 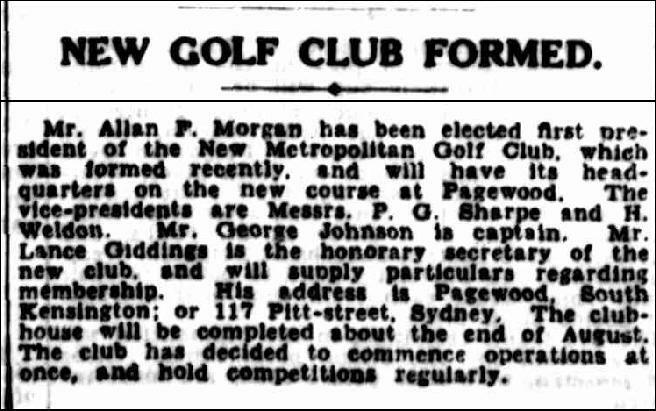 He was also possibly involved with Lance Giddings in laying out Lance’s new course at Pagewood (1935). Finally, he was commissioned by Richardson & Wrench to provide a valuation of the Arncliffe course for the purpose of negotiation of resumption (1948). Prosper de George Ellis joined Boonie Doon as a schoolboy while attending Newington College. At the age of 17 (1912), he won the LE Gannon Trophy, a stroke event. His golf course design work throughout NSW is extensive and included remodelling The New Metropolitan prior to the amalgamation with Bonnie Doon. He shared Secretary Manager duties with Norm Calder during the amalgation and wrote a column for the Sydney Morning Herald – On the Fairways. He was three times Pymble Club Champion and in one year both he and his wife held their championships together. It is a shame that he unfortunately never won the Club Championship at Bonnie Doon and thus never left his name on our Honour Boards. But he did present the Club with a perpetual trophy for a 4 Ball competition which was played for some time.